Whenever I buy a new shampoo, I believe from the bottom of my heart that I have made a wise purchase. I suppose this belief is purely based on the attractive packaging of the product. When I pick a bottle, I actually imagine my hair turning shiny, and luminous just like the pictures shown on the bottle. Actually, that’s how a human mind works. We tend to rely more on the external beauty than putting in efforts to know what lies beneath. But, I had had enough of trying so many shampoos. My hair was nowhere near what was shown in the pictures. So, I decided to investigate deeper into the bottle and get to the bottom of what each shampoo offered. I also decided to share my Paul Mitchell tea tree shampoo review with everyone so that you can make a real wise purchase that you will be proud of. 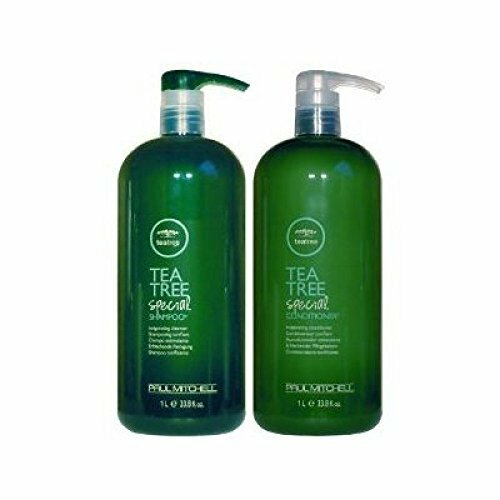 What are the Benefits of Using Paul Mitchell Tea Tree Shampoo?Is there any risk in using the tea tree oil shampoos? What is Paul Mitchell Tea Tree Oil Shampoo? It is a shampoo having tea tree oil as one of its main ingredients. Tea tree oil is derived from the leaves of Melaleuca alternifolia, which is known as the snow-in-summer or narrow-leaved paperbark. It is also called melaleuca oil. It may vary in color ranging from being colorless to having a pale-yellow hue. It has a camphor-like odor. I am sure this Paul Mitchell tea tree shampoo review will help you get stronger, dandruff-free, and shiny hair. What are the Benefits of Using Paul Mitchell Tea Tree Shampoo? 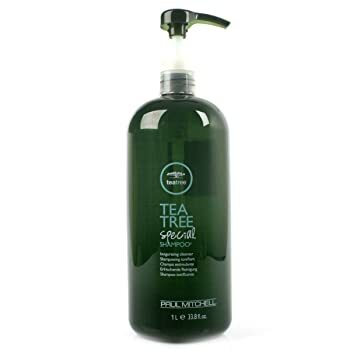 Though Paul Mitchell Tea Tree Shampoo does seem like any other shampoo product available in the market, you will realize its potential only after you experience its activity. It can fix your hair ordeals and improve the health of your scalp and hair. You can expect to have soft, shiny, and beautiful hair after using it. 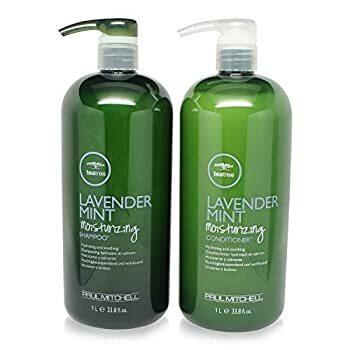 What makes this shampoo safer and more effective as it is made from natural substances like, of course, tea tree oil, lavender, and peppermint. Therefore, they do not cause any serious side effects even when used for a longer duration. Its antifungal property can come in handy especially if you are frustrated with seborrheic dermatitis or dandruff. This shampoo is also perfect for you if you have to struggle to skip everyone’s notice to scratch your scalp too often. It’s also good for you if the dandruff popping up on and off is causing huge embarrassments for you. Is there any risk in using the tea tree oil shampoos? When used in a high concentration, it may cause irritation and allergic reaction. So, if you have sensitive skin or an allergy to eucalyptol, make sure the shampoo you select does not contain eucalyptol in high doses. Another fact I found about these shampoos is, on rare occasions, they may cause blisters and spotting of the skin. But, don’t let this stop you from trying these shampoos as these symptoms usually resolve within a few days once you stop using it. if you suffer from eczema, it may exacerbate your symptoms. How to use Paul Mitchell tea tree shampoo? Hearing a long term like "Paul Mitchell tea tree oil shampoo" might make you think it to be so alien. The beneficial properties of these shampoos, though not out of the world, are something special that put them a notch higher than the regular shampoos. However, that doesn't mean using this shampoo is anyway different. Application of Paul Mitchell Tea Tree shampoo is very simple. You just need to use it twice a week just like any other regular conditioner. How long would the Paul Mitchell tea tree oil shampoo take to show the results? The unique formula of this shampoo provides instant relief from the dry and itchy skin of the scalp. The tea tree oil coupled with peppermint produces a menthol-like soothing effect that relieves the itching quickly. A thoughtful combination of tea tree oil, rosemary, lavender oil, wheat germ oil, limonene, and peppermint! Having experienced enough with many shampoos, I could guess that this one would be effective in helping me get rid of dandruff. And I was right! The best part about this shampoo is it does not leave that irritating residue after rinsing and gives a wonderful tingling sensation in the scalp that's difficult to describe. Let me summarize what’s ticking and what’s not about this shampoo. This shampoo smells wonderful, and cleanses the hair and scalp very well. I would say it’s one of the best conditioners for a dry scalp. It leaves my hair feeling clean without any dryness. This shampoo is specially formulated to penetrate deeply into the scalp. It provides intense moisture, which is essential if you are trying to find a solution for dandruff and dry scalp. Some consumers have complained of burning sensation in the scalp after using this product. I would highly recommend it for you if you have severe dandruff. I use it thrice every week and I can hardly find any trace of dandruff on my scalp now. Actually, the effect was evident within 2 weeks of using it and there on, it was all downhill for those nasty flakes! Prepared from natural extracts of refreshing lemons and soothing sage, this one grabbed my attention due to the word, "thickening". I suffer from severe hair fall and needed something urgently to fix the problem. 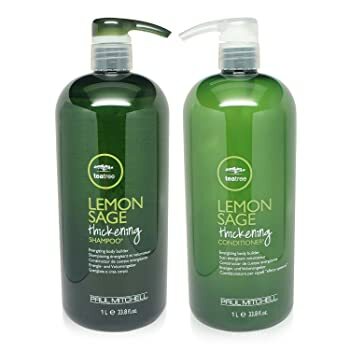 Paul Mitchell Tea Tree Lemon Sage Thickening stayed true to its name and fulfilled my dream of flaunting thick hair. It contains unique thickening agents, which produce a voluminous effect for your hair. Let us probe deeper into its pros and cons. It has a lovely fragrance, and texture and as said earlier, might help you if you are worried about hair loss by thickening your hair. I would not call it a flaw or a con of this product yet, I found it less effective in managing my dandruff problem. if dandruff is the main problem troubling you, then this one may not be the best option for you, though I would still recommend it for hair thickening. I would advise you to try it when your nerves are all frazzled up. It can take your comfort levels higher up with its soothing fragrance coming from lavender, and mint. Let me take you to the tour of what’s good and what’s not about this shampoo. You may try it even on the color-treated hair. That’s a rare attribute you may not find in other shampoos! So, who do you think is the winner? Yes, you guessed it right! It’s Paul Mitchell Tea Tree Special Shampoo. I had excellent results with this shampoo in a much shorter duration compared to several others. What I really appreciate about it is the way it made my dandruff vanish as if it never existed. It is also very soothing for my scalp. It has saved me from the embarrassment of the dandruff falling all over my shoulders and the ordeals of trying to avoid getting noticed while scratching my head. I no longer have to pretend as if I am thinking something important while scratching. 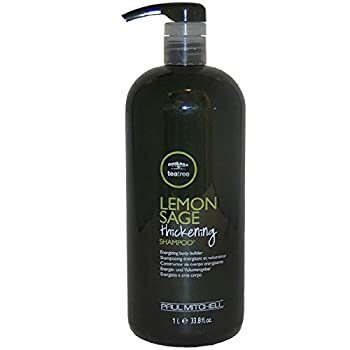 if your main problem is hair fall and not dandruff, I suppose the Paul Mitchell Tea Tree Lemon Sage Thickening shampoo might suit you better. It did help me by making my hair appear thicker. 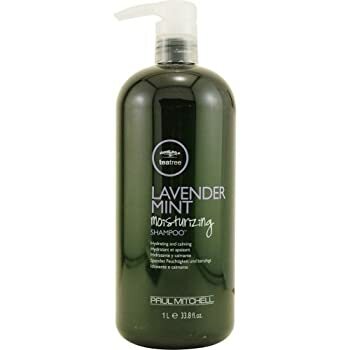 I would reserve the Paul Mitchell Lavender Mint Moisturizing Shampoo for those with a sensitive skin or dry hair. It would help them to get rid of irritation with its soothing fragrance and keep their hair well-conditioned. I hope this tea tree shampoo review helps you find the best one and enables you to get rid of dandruff and other hair problems. If you have any queries, feel free to drop a note down in the comments section. I would be glad to share my experience!